After their chores, the girls sometimes have a bit of free time before we start our school work. 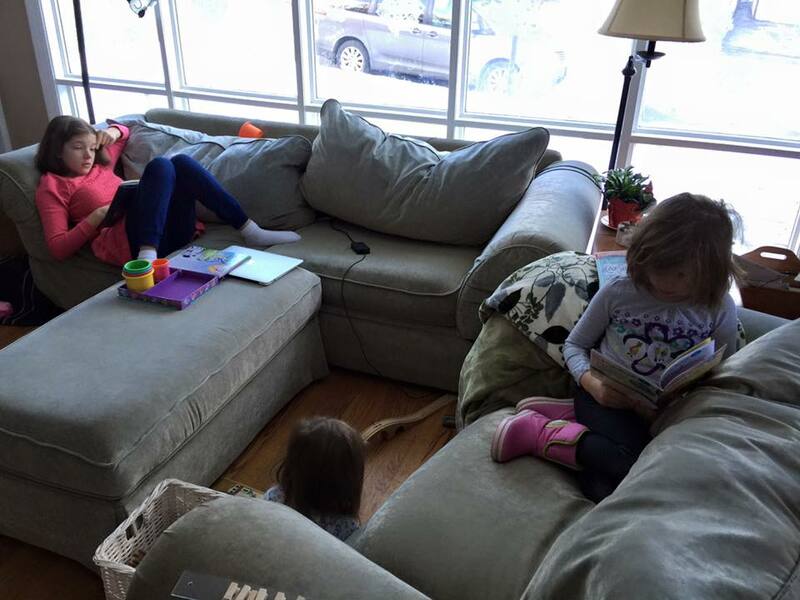 Today, I looked over and two out of three of them were using their free time to read silently! My oldest has been doing this for years. But my middle child is starting to check out easy reader books from the library and she's is taking a lot of pride in the fact that she can sit by herself and figure out what a book says. It was sometimes uncomfortable for her to be learning to read in the same house, often in the same room, as a big sister who already knew how to read really well, but now she is growing in confidence and discovering the joy of sitting with a book.